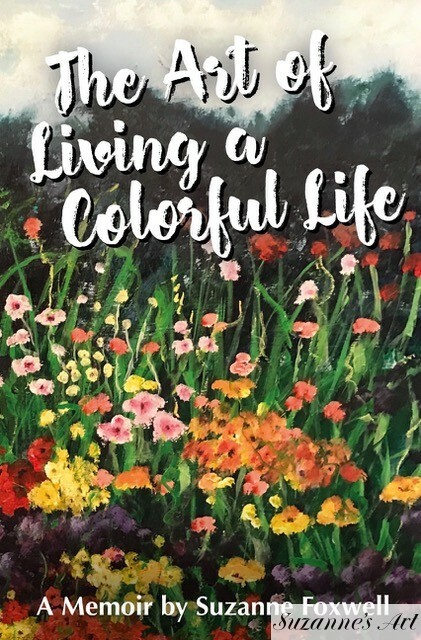 I am happy to say that my Memoir, The Art of Living a Colorful Life, has finally been published!!! While writing my memoir, I had the opportunity to reflect on how similar my approach to life and art have actually been. Both are so intertwined and fluid, and I tackle them in much the same way – “all in”. Sometimes things worked out as I hoped and, unfortunately, sometimes they did not. I thought sharing my story might be helpful to others, because if there is one thing I’ve learned over the years, it’s that when you make a mistake, even if it is a big one, you can start over in both life and in art. It may not be easy, but once you’ve made that first stroke on your blank canvas, each stroke will be easier.